I just acquired a fenian raid medal tonight and I am trying to find out some information about the soldier. It is engraved Corporal T.I.Everett 18th Battalion with a Fenian Raid 1870 bar. I searched findmypast and ancestry and drew a blank, any helps greatly appreciated. 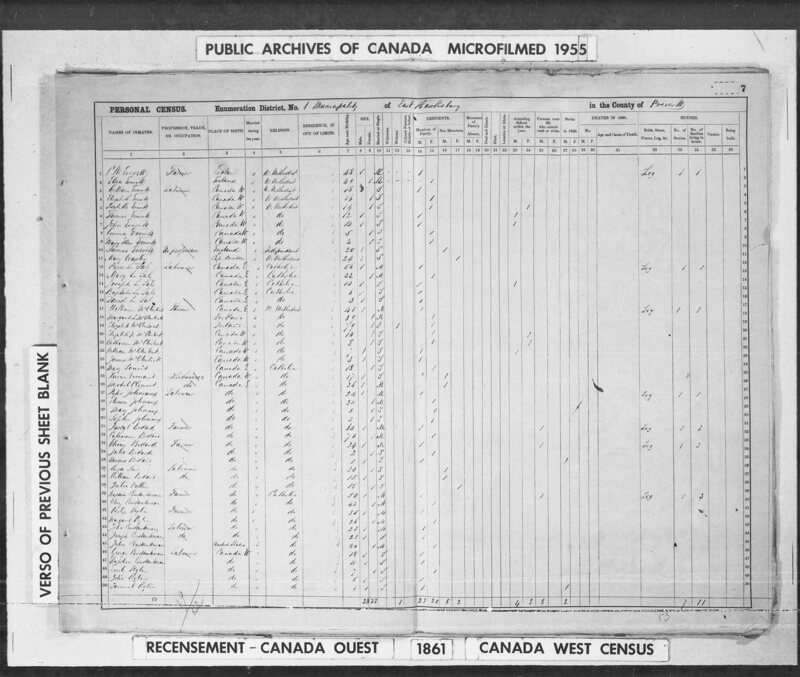 Not much help perhaps, but in "Canada General Service Medal Roll 1866-70", he is listed as "Thos. J. Everett" and entitled to the 1870 bar. Thanks for that information. Where the 18th Battalion a British regiment? I'm not an expert in this medal (or the battalions/regiments), so maybe a more knowledgeable member can weigh in? Local Canadian unit which the vast majority were. They were issued from 1899 long after the event. The 18th was the Prescott Infantry. 245 medals to the unit, plus about 17 late issues. You're looking for Thomas J. Everett in or around Prescott, Ontario. In the 1871 Census, that's who we find. 21 year old Thomas J Everett, a Farmer in Hawksbury East, Prescott. No sign of him in the 1881 or 1891 Census, though, oddly. Because the medal would have had to be claimed by him in 1899 or later. Hi, Irish. I'm Andrew, and Colonial Canadian medals are my specialty. May have moved to the States or to the UK and just had his medal sent on to him there. I checked for all of Canada, once I saw he hadn't appeared in 1881. No matching ages, even on either side of 31. It seems none of his family members remained in Hawkesbury, either. 1861 Census seems to have his parents as CW and Eliza Everett, 48 & 49 years old respectively, and another 8 Everetts beneath them. In 1871, at 21, he's now listed as head of the household, with his mother Eliza at 58. They are an Irish family, too.